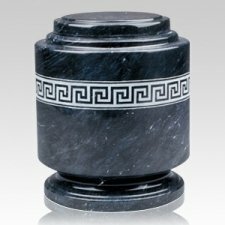 The Greek Fret Marble Cremation Urn is made of natural quarried black marble etched with a greek fret design hand turned on a lathe and polished. crafted. I am totally pleased with my purchase.